Continuous exposure to proper curriculum material, combined with the presentation of exciting content incorporating animations, simulations and laboratory equipment for practical experiments creates a learning environment that is engaging for everyone. We have proved that stimulating subject-matter makes learners and educators want to spend more time delving into the sciences, resulting in low drop-out rates. The installation of an iBox is the first step to enhancing the teaching and learning process. The iBox, an all-inclusive multimedia device, makes available a hub of information i.e. content and knowledge that advances teacher proficiency by assisting with curriculum delivery. Learners also have access to the imbedded learning material, workbooks and other subject matter, thereby eliminating the most of challenging problems relating to literacy, numeracy and gaps in teaching capacity. The iBox offers over 29,000 slides of lesson content approved by the National Department of Education. These lessons are presented in PowerPoint and are structured according to the CAPS curriculum for Physical Science, Life Sciences Mathematics and Mathematical Literacy. Any other developed content can also be easily added. Teachers are further empowered with powerful Interactive Whiteboard software to enable them to present rich media lessons, annotate over any document, picture or video by means of the interactive pen. • Makes learning exciting and delivers immediate teacher and learner results improvements. In order to further enhance and enable the learning process, Sangari markets leading Student or Learner Response Systems that are used in classrooms to conduct quick and precise assessments of each pupil’s subject matter retention. Response Systems are meaningful tools for educators that save a significant amount of time and help track the progress of individual learners and to identify those that require more focussed attention. Learner response systems further help in giving a quantified measure of the sustainability and effectiveness of learning material in operation. • Significant time savings for teachers by eliminating assessment marking. Sangari’s unique Mobile Science Laboratories combine practical and theoretical resources that allow students to effectively overcome the barriers that restrict the practical development in their learning by being able to effectively conduct all the experiments required in the curriculum. Sangari Mobile Science laboratories encourage Educators to be more proactive and practical in their pedagogy through the use of all-inclusive mobile laboratories that emulate the functionality of a full scale laboratory. Sangari Mobile Science Laboratories are completely aligned to the CAPS Curriculum. Students acquire the skill to work in groups which develops their teamwork abilities. The Mobile Science Lab closes the gap between theoretical and practical application, thereby equipping the student with all that they need to accomplish their study objectives. Each Mobile Science laboratory is packaged in a single robust case with each component strategically placed in its specific receptacle, and presented in layers for ease of use. This is to ensure that any missing component will be quickly identified thereby eliminating lost items and easy stock control by the educator. • Practical apparatus that is strategically aligned to the CAPS curriculum, allowing for every practical experiment required to be executed efficiently. • Educator memorandum that give educators a detailed, step by step guide of how to perform each experiment and the rubric guidelines. 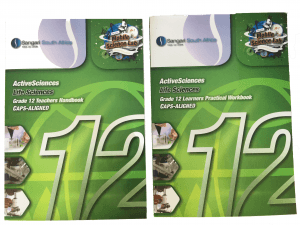 • Student workbooks that encompass carefully guided levels of questions for each experiment, which allows teachers to assess accurately the learning outcomes reached. • Investigative consumable material provided for each hands-on lesson. • Compartmentalised for easy usage and secured for simple storage. • Portability: Versatile, any place can be turned into a laboratory. • Durable Box: Allows protection and prolonged life of chemicals and apparatuses. • Step-by-step practical manuals: Provide teachers with guidance of how to teach experiments and student conduct experiments with minimum supervision. • Economical: Affordable as compared to setting up a traditional Laboratory. • Storage: Little storage space required and is lockable. Sangari’s NeuLog Data Loggers are flexible, simple, fast and forward thinking. NeuLog is a set of independent computer based modules, complete with a data logger, flash memory and a sensor – all in one single smart unit. This autonomous plug-and-play concept allows for an easy, precise and fun way of conducting classroom and field experiments. The new age of experimental data acquisition provides educators with fully autonomous logger sensors. NeuLog logger sensors offer a myriad of didactic tools to meet any schools’ needs in the field of scientific studies. • Converts the measured parameters into processed value. • Each logger sensor stores up to 5 experiments in flash memory. • Sends the data in digital form to a viewer unit, a PC or tablet. • Easily calibrated by one push of a button. • Saved experiments can be uploaded to a PC at any time. • The most intuitive, rich and friendly NeuLog software, and application for browsers including: On-Line mode, Off-Line mode, tables, graphs, data analysis, double axis set up, statistic operations, mathematical operations.